"We met Sue at an open house. We were so impressed with her knowledge, professionalism and most of all her honesty. In the last four years we have had three transactions with Sue. With her great ability, each one went so smoothly, she took care of everything for us. Sue is an excellent example of a Real Estate Agent. Thank you Sue for making our new experience so much fun, and thank you for being so patient, caring and honest with us and helping us find our beautiful home." "We sold and purchased our new home during the worst part of the housing market slump. It was extremely important to have an honest, ethical and professional real estate agent involved during such turbulent times. We found all these attributes in Sue Roach. Coordinating the selling and purchase during these slow times took a lot of patience on the part of both the agent and the client. We had more time to personally get to know Sue. When we finally completed the sale and purchase of homes, we missed Sue so much that we got together for lunch in our new home. We would highly recommend Sue." "Sue helped us find a lake house in the area. She sent us a lot of good ideas, patiently showed us the large number of houses we wanted to look at and got to know exactly what we were looking for. When I house was coming on the market that she thought we would like, she told us that she found the one for us and because we weren't really sure ourselves exactly what we wanted, we were a little skeptical. But sure enough, after one look at the house it just felt like exactly what we were looking for. I wouldn't hesitate to use Sue again and she has been a great resource both during and after the purchase." "Of all the good decisions I've made in my life, choosing Sue Roach as my realtor ranks among the very best. To sell a lake house in winter is a difficult prospect, but to sell it in one of the coldest Januarys on record felt nearly impossible. Sue knows the lake area extremely well and has a keen sense of the market in general. When she walked through my door, she took in every detail and confidently told me that my lake house would not stay on the market long. Sue is kind, thoughtful, incredibly friendly, honest, highly educated, a great negotiator and an expert in real estate. She provided me with market trends and analyses, took photos of my house inside and out and had my property listed practically overnight including a virtual tour. It was absolutely clear from the beginning that my house was in the best hands. She fully understands the legalities of real estate with the detailed requirements and regulations that need to be followed and can articulate them in a way that is easy to understand. What also stood out was her availability and follow-through and how quickly she returned calls, emails and texts no matter how often I contacted her. Every interaction with her was a pleasant one. She gave me regular updates, was dedicated and hard-working all the way to the closing and made the process stress-free and absolutely painless. I can't say enough good things about my experience working with her and neither could the neighbors that recommended her to me. Sue loves what she does, she is an exemplary realtor, and is an example of what other realtors should emulate. Her results speak for themselves. Sue has my highest possible recommendation!" "Great experience working with Sue. Sue quickly understood what our needs and desires were relative to our lake house and took us to homes which fit our goals. Sue also knows the lakes as well. The properties we looked at not only met our home requirements but also our lake requirements. Fantastic experience!" "For several years we tried to sell our lake home on Little Fish Lake without success. 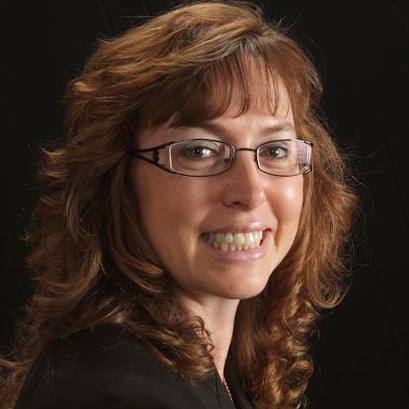 Then we met Sue Roach, MBA, Associate Broker at RE/MAX Elite Group in Sturgis, Michigan and she was an answer to our prayers! She gave us several suggestions on preparing our house for sale. Sue kept us updated regularly on various prospects. Within three months she had a buyer at a price that we thought was very good. At the same time she found another home for us on Lake Templene. On the same day....and within one hour....Sue closed on our old home as well as our new home. Sue is a "Buyer & Seller's Dream Come True"! Her extensive research and knowledge of the real estate market, her kind and compassionate manner of working with everyone, her thoughtfulness and cheerful personality actually made selling and buying a wonderful experience. When we needed a new dock, references for various craftsmen, Sue was there with her excellent recommendations. She kept in touch with us even after closing and continued to assist us in many ways. When we thought our real estate tax was higher than it should be, Sue was there with her advice and even went with us to present our case. Because of her, our taxes were reduced. We have moved half a dozen times during our married life which means that we have known many realtors. Without a doubt, SUE IS THE BEST!" "We purchased a house using Sue to represent us when buying from another Realtor. Sue was great to work with. She saved us money and headaches. She was top notch in making sure the inspections were done and done right. She helped represent our side all the way to the final signature. Once the house was purchased her help did not stop when it came to additional questions or problems. I am glad her expertise was there for us in a time of complicated paper work and procedures in buying a house under the modern day laws. I have Sue house hunting for another investment house and she is great. Information gets emailed daily that I want and need. Sue makes herself available to you 7 days a week if necessary and loves texting and email to answer your questions quickly. Best Realtor in SW Michigan!" "Sue we could not thank you more! You are one the nicest and funniest people that we have ever met. You never pushed us into a house that you knew we didn't want and you were there with us till we found the house that we loved. If anyone ever needs a Realtor, you are the first person that we talk about." "After being unhappy with another well-known local realtor, we finally found Sue. She represented us in the purchase of a short-sale property. We are from the Chicago area and relied on her expertise in helping us find the best vacation home in the best area. She understood what we wanted and negotiated fiercely for us when we found "our" house. Her predictions of what to expect always came true and she knew the ins and outs of the short-sale process. She always returned our calls, (often immediately), and has a lot of professional contacts in the area. A year after the house purchase we wanted to appeal the county taxes assessed on our home. We called Sue and she assisted us with comparable home-sales information and provided other useful information to us - offering to help us in any way - without charge. We referred friends to Sue for a similar home purchase and they had the same positive experience." "She made the buying process effortless!!!" "We were moving from 200+ miles away. I felt very comfortable calling Sue for any information I needed or leads I had found on line of homes in the area that looked interesting. She was extremely helpful and aware of our specific desires for a home. Sue was most helpful when it came time for the closing and giving us names of local handymen and services to make our move smooth. I would recommend Sue to anyone who is looking to change homes or move into the area." "When we were looking at home on a lake Sue showed us several of them. Being from out of state she informed us of many things we were unaware of (wake hours; lakefront vs. lake access; the township/City of Three Rivers/St. Joseph County jurisdictions). Sue had very good recommendations for people to consider for home inspections; surveying; etc. She went over many things for us to consider including in our offer (docks, furniture, etc.) and handled the negotiations with our best interest in mind. All in all we were very satisfied with the entire transaction and have recommended her of other people - including our daughter and her family (they purchased a home in Vicksburg with Sue's help)." "Sue Roach was great to work with and listened to what we had to say! A previous failed attempt at finding a house and a not-so-pleasurable realtor experience left us nervous as we started a second search for our new home. Then we found Sue Roach and after showing us only a couple of homes, it became obvious that she was paying attention and quickly identifying our wants and needs in a home. Once we found our new home the negotiation process was intense - Sue's experience in this process, her knowledge of the market and area along with her determination eventually helped convince the sellers that our offer was fair given the market's conditions and it was accepted. A few short weeks later we closed on our first house. Sue listened and made our new home search a smooth, successful process." "Sue helped our family with a purchase back in 2003 on Lake Templene. We love Sue. She is very personable and knowledgeable of the area. I have already recommended Sue to my friends and will continue to do so."